January 1977 was a bad winter in the Northeast. I was trying to get to Chicago and when this picture was taken the train was maybe 20 hours late, i.e., should have been in Chicago hours ago. 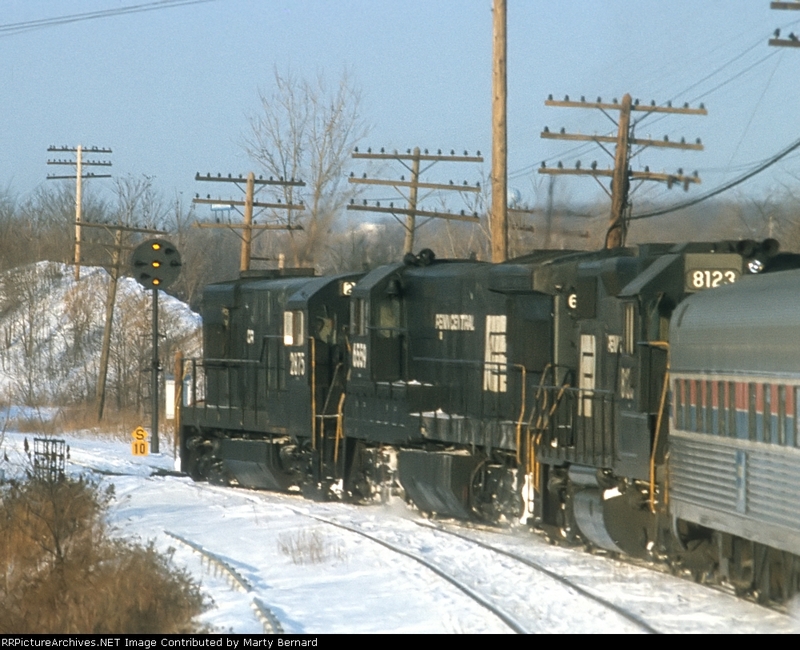 The the three Amtrack SDP40Fs up front are dead except for their steam generators and the train is being pushed by three Penn Central freight units. The delays were caused by freight train derailments and thus long detours and engine failure.